Billed as a "Prequel-Sequel" to The Cay, this is both the continuation of the story of Phillip Enright after he is rescued from the cay and a series of flashbacks that tell us who Timothy was and how he ended up on the cay with Phillip. Chapters alternate between Timothy's life, starting in 1884 when he was 11, and 1942 as Phillip recovers from his time as a castaway. 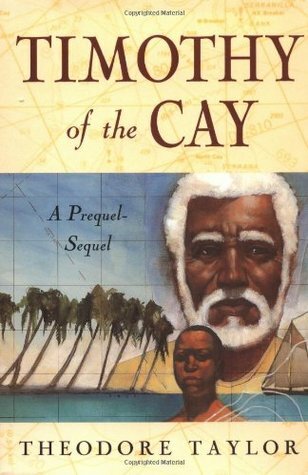 Note: though The Cay is a "middle grade classic" in my classification, having been published in 1969, this is a much more recent book and doesn't fall into that category. This is an interesting project--an effort on the part of the author, many years after the first book, to answer the questions left hanging in The Cay. I found the structure intriguing, and not at all confusing, with the switches back and forth from Phillip's story to Timothy's easy to follow. The real problem at the heart of the book, and the reason it is not the great book The Cay was, is that there's not a lot of point. The question of Phillip's eyesight (will it return?) is of course the central issue of his part of the story, but we already know the answer from reading The Cay. And Timothy's story is interesting, but lacks a focus, though I was glad to know how he became who he became--and why he was so determined that Phillip should live. Taylor also tries in this book to address more directly the racism of some characters (especially Phillip's Virginia-born mother), as one might expect in 1993. Even in 1969 her attitudes, though realistic for 1942 when the books are set, would have grated; but 1993 they had to be refuted by a Phillip who has learned better. It's necessary and inevitable, but feels a little blatant. 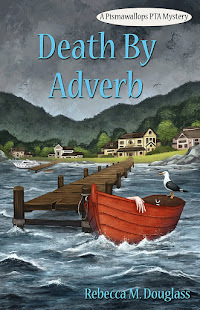 I can't give this book the enthusiastic recommendation I gave the original, but I will say that anyone who enjoyed The Cay will enjoy reading this and getting a little more insight into the characters. As a short and easy read, it's worth the time and effort to round out the story. Full Disclosure: I checked Timothy of the Cay out of my library, and received nothing from the writer or publisher in exchange for my honest review. The opinions expressed are my own and those of no one else. I am disclosing this in accordance with the Federal Trade Commission's 16 CFR, Part 255: "Guides Concerning the Use of Endorsements and Testimonials in Advertising." I have not heard of either of these books. I must say i am always cautious about prequels! I see you have reviewed many children's books and am off to look at them now. Thanks. I agree about prequels. Or sequels written after many decades! Enjoy the reviews. I try to make them both helpful and entertaining. More than interested in reading this book, you made me curious about the original one! I think I'll check it out of my library too... Thanks! The first one is very good! I'm ambivalent about prequels, and on the whole I dislike them, unless they tell you something that you didn't know about the character from the later books. I didn't read your review of The Cay, for some reason, but I don't think I'll read either. The Cay is actually well worth reading, if a bit dated (as one would expect). Not the best of the kids books from the era maybe, but worthy of the awards it got. But you know, my favorite childhood reads didn't win any awards and didn't deserve any. But they were still my favorites: The Lion's Paw, Nancy and Plum, Flight of the Doves. . . (all orphan stories, too!). Now of course I'm curious about The Cay! When I saw the book cover I thought "What on Earth is a prequel-sequel?" Now I know! It's kind of a neat idea - it seems the author felt dissatisfied enough with the original to feel compelled to write the second book. 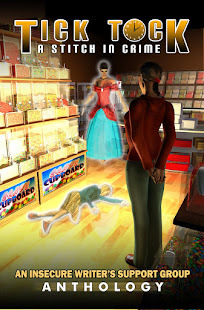 Thanks for sharing your book recommendation in the Kid Lit Blog Hop. It is kind if cool. He deals with both the question of where Timothy came from and how Philip coped.